The 150th celebrations of the establishment of Shimla, viagra just got more interesting. Local folks of Shimla, just last week were graced by the performance of some of the biggest stalwarts in Indian Classical music. And as a double treat they can now witness the renowned actress Hema Malini, our very own Dream Girl, shooting on their streets. She has just started shooting for Ramesh Sippy’s ‘Shimla Mirchi’ from 28th September. 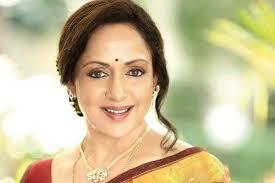 Hema Malini, an actress turned politician will be seen on the large screen after a long gap. Her fans were eagerly awaiting her return to the silver screen and are delighted with this news. 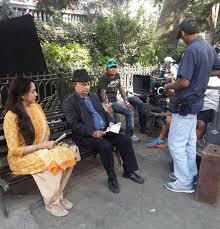 Hemaji herself announced to her fans on twitter that the first day of shooting had commenced. Ramesh Sippy and Hemaji have delivered quite a few hits in the past, like Sholay, Seeta and Geeta and Andaz. We wish the team best of luck and hope that the magic will be re-created. You will be surprised to know that the director Ramesh Sippy also has a cameo in this movie. The movie ‘Shimla Mirchi’ is rumored to be a light hearted comedy with a twist to it. The movie revolves around a single mother and her daughter, whose love interests lie in the same man. Rajkumar Rao of Queen fame is playing the man lead in the movie. 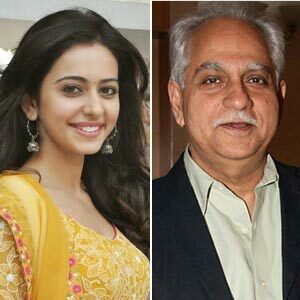 The daughter is played by Rakul Preet Singh, a former Miss India finalist, who is all set to be launched in tinsel town. She has also expressed her gratitude on a social site, for getting an opportunity to work with the likes of Hemaji, Ramesh Sippy and Rajkumar Rao. Shimla has become a favorite hangout for film makers. For those of you who can’t wait to see here, she’s presently shooting on the Mall and the Ridge.